If you suspect mold has started growing in your home, there’s a possibility of health risks. At the very least, if someone in your family has a mold allergy, they could start showing symptoms such as sneezing, itchy eyes, and cough. The good news is, mold removal experts can take care of the problem before it gets worse. In addition to removing the mold, professionals will address the moisture issue that caused the problem in the first place. This ensures mold doesn’t form again down the road. However, it’s important you work with the best mold remediation company in your area. To help you out, we’re going over some tips for finding qualified professionals. The mold remediation process is tricky, which means you need to work with a company that has years of industry experience. This ensures they have the equipment and know-how to remove mold effectively. You’ll want to look for someone with a long-standing reputation in your area. If you can’t tell how long they’ve been in business by looking at their website, call and ask. You should also look for a company that has experience with a wide range of services such as mold inspection and air quality testing. This means they’ve likely seen all manner of situations and can quickly diagnose your problem. The last thing you want is an inexperienced technician making assumptions on the best way to tackle the issue. It’s important the mold remediation specialists you work with hold licenses and certifications. This means they’ve gone through the proper training and are highly educated. Mold comes in many forms. Some types, such as black mold, pose a serious health threat. The company you work with needs to be able to identify molds and understand how they spread. In addition, the best companies will have gone through adequate training on remediation techniques. This involves the decontamination process and understanding the equipment and technology involved. When speaking with a business about treating your home, inquire about these credentials. If they can’t provide you with certifications, you should continue searching for the right company. In addition to holding certifications, the company you work with should also carry insurance. 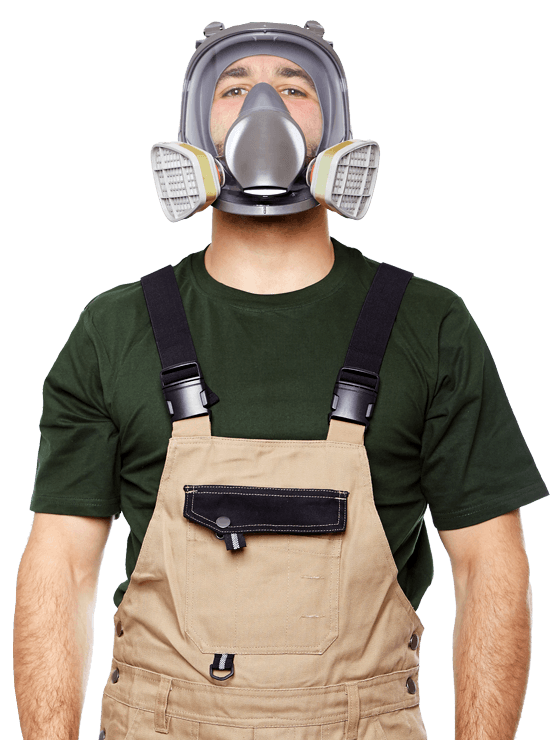 This protects you if any damage occurs during the mold remediation process. Unfortunately, some disreputable businesses will tell you they have coverage just to get your business. That’s why it’s important to ask to see it. Any professional company won’t mind showing you proof. At the very least, a company should have general liability insurance in place. You may also want to check for pollution insurance. This covers companies that handle hazardous waste, in this case, mold or asbestos. Asking about insurance isn’t only important for protecting your property from damages. It shows that the company you’re working with is dependable and has the resources needed to protect themselves and their clients. It’s now commonplace for consumers to check online reviews before buying products or hiring a company. This is a great way to get a firsthand account of the type of work a business does. When reading customer reviews for a company, keep in mind that a few negative reviews don’t necessarily mean they provide bad service. In fact, sometimes a business’s competitors will post negative reviews to drive customers away. Instead, pay attention to a large number of negative reviews for the same thing. For example, you may see a number of reviews about bad customer service or unexpected fees. If you encounter this, looking at other companies is probably a good idea. When trying to find the best company for your needs, there’s nothing wrong with asking for references. Any reputable business won’t mind providing you with some. Talking to references is a great way to get a sense of the type of service a company provides. When doing so, ask the past customer how they felt about the process and if the company lived up to their promises. This will instill you with peace of mind when hiring someone. You should also check a company’s website to see if they’ve listed some of their past clients. If they’ve provided mold remediation for larger businesses, this means they have the resources and knowledge to tackle any mold issue. You want to work with a company that stands by their work. If they do, they’ll offer a satisfaction guarantee to their clients. If you don’t see proof of a guarantee on their website, ask them if they offer one. You’ll also need to get the details. A guarantee protects you if the mold ends up returning after remediation is done. You don’t want to have to pay for service twice in a short period of time. Companies that offer satisfaction guarantees typically take measures to ensure the work gets done right and the mold won’t return. This means repairing the areas where moisture is present. It’s important to get quotes from every company you consider doing business with. Not only does this ensure you stay within your budget, but it also protects you from getting overcharged. Keep in mind that the price for mold remediation will depend on how widespread the issue is. That’s why it’s important to shop around and get a sense of what the job will cost. Obviously, you’ll want to work with a company that provides a reasonable rate. However, don’t let an extremely low quote draw you in. Some businesses do that just to get your business and then provide sub-par service. When dealing with a mold issue, time is of the essence. The longer you allow it to spread, the more time-consuming and costly it’ll be to remove. The second you notice a problem, use the tips discussed above to find the best mold remediation company in your area. We provide mold remediation and inspection services in Toronto and surrounding areas. Contact us today set up an appointment.